Ok, I get it. You have a house full of kids, babysitters are expensive, jobs keep your schedule booked, and it’s just hard to find the extra time (and money) to date your spouse. Yet, all the marriage websites encourage you to date your spouse. Some experts even recommend weekly dates. I don’t know about you but we would never have the time or money to go out every single week. We aim for monthly date nights out and that’s about all we can do. However, as I get bogged down in the busyness that comes with kids, family, my husband’s work, and homeschooling, I’ve realized how difficult it can be to connect with your spouse. He’s out the door before 6 AM and walks back in the door around 4:30. I’ve spent the entire day homeschooling and chasing after the kids. We’re both exhausted but it’s time to make dinner, clean up the house, and play with the kids who want to use Daddy as their personal jungle gym. By the time everyone has been bathed, read to, and tucked in bed we barely have the energy to finish cleaning the house before we collapse on the couch. He still has some online teaching to do as well as school work and I have blogging, lesson planning, and grading. The days feel like they cannot end soon enough. But in that busyness I’ve missed chances to connect with my hubby. We don’t have time to long talks, discussions, and hearing what’s on the heart of the other person. I’ve realized that I can live with my hubby but still miss him terribly! So, to keep from missing each other so often we have a plan. We’re going to have more dates. Only a few of those dates will actually consist of us leaving the house. On those nights we’ll get a sitter and enjoy an evening of one-on-one time. But on those other nights, we’ll have a date night in. We have games, movies, and cups of cider to enjoy together. Some nights we’ll get fun takeout and have a late night picnic after the kids are in bed. Other nights we might enjoy dessert and a game. The dates don’t have to be expensive but they do have to be scheduled. We’ve planned for at least one night each week when we get the house work done quickly and put the kids to bed a little early. Those are our nights to simply catch up with each other and spend time with one another. One of the most important steps we’ve taken is to put these nights on our calendar. I’m a calendar person and I’m apparently also my husband’s calendar keeper. He’s not the best at writing things down so often calls me about the schedule. I don’t mind since I love to plan. So I do what I do best – I plan those times and my hubby is more than happy to show up. We’ve planned one night each week that we’re taking that night “off” from our other work, school, and housework duties. Those are our nights. It’s not always the same night each week because our schedules change but it’s written in weekly on the night that works best. The thing I enjoy most about having it planned out is the anticipation of waiting for that night. There’s something exciting about knowing that you have a date and the preparation can be the fun part. And on weeks when I’m barely surviving the duties of stay-at-home homeschool mom, I remember that we have a date night coming soon and I can somehow make it through my days. My favorite aspect of our date nights is the uninterrupted adult conversation. During the week I have lots of crazy conversations about very irrational toddler fears, ridiculous arguments, and lectures about eating boogers or peeing on the floor. I read lots of Sandra Boynton (“red hat, blue hat, green hat, ooops!”) and Dr. Seuss (“when tweedle beetles battle on a noodle eating poodle….”) and by the weekend I am quite sure that I am brain dead. I have no intelligent thoughts left. I crave some adult conversation – especially the kind that does not center around kids. So, while we do chat about our kids – how wonderful they are, how crazy they are making us, how we worry that we’re totally ruining them, and how we have no idea how to best discipline them or teach them – we try to talk about other things too. We take walks down memory lane and remember some of our favorite moments together. We ask crazy “What if” questions which usually bring on the laughter. We talk about past experiences of our growing up years and how they’ve shaped who we are today. We share our hopes and goals for ourselves and for our family. We talk about career aspirations – my hubby’s goals for his current career and my goals for life after kids. We discuss our spiritual lives and where we feel we’ve fallen short and could improve and things we’ve learned during our quiet times. 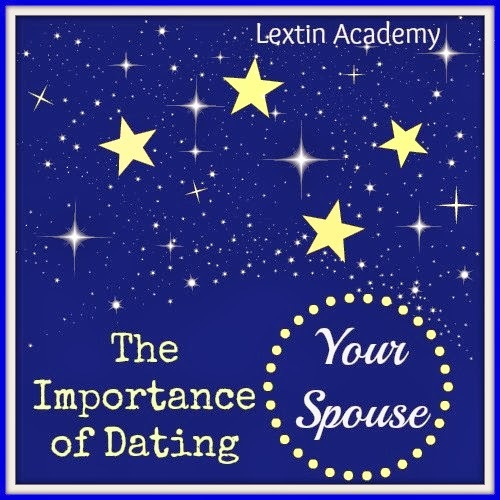 Why are these times so important to your marriage? Because secretly you are keeping score and so is your spouse. No, marriage is not a competition nor is it a game. But at each kind word, each act of service, each gift, each hug, each fun time together you’ve mentally given your spouse a point. Your spouse is doing the same for you. However, it is easier to lose those points than it is to gain them. With each argument, unkind word, selfish act, or uncaring glance you lose some points. By the end of the day you might be deeply in debt with your spouse. So, it’s important to make sure you’re both on the same playing field. That means you need to spend time together in meaningful conversation to understand the needs, hopes, and passions of your spouse. And as they let you into their innermost heart, you can get glimpses of how to score points with them and how you can both win by knowing what is most important to the other and serving each other in a meaningful way. So, should your goal in marriage be to have more points than your spouse? No that’s not the aim. It’s simply important to understand that your words, actions, and attitudes have a deep and lasting impact on your spouse and will often dictate his or her responses to you. Dating my spouse is something I can’t afford to over look. Our scheduled date nights are often the reason I trudge through another week and they are how I’ve come to better know and appreciate my spouse. They aren’t fancy or expensive or even overly creative. But they are fun, meaningful, and marriage-strengthening. We need that time to relax from the busyness that threatens to overtake our days. Date night, whether it’s out on the town or at home on the couch with a movie, is essential to our marriage and if we’re being honest, we’re both a little competitive and we like a high score card. I loved this! Great ideas plus the emotional bank account thing is so true. Thanks for sharing. You're welcome! That analogy really helped both of us understand the concept. It really gave us insight into how the other one thinks!